Stainless steel doesn’t need much care, but you should know how to care for it properly. 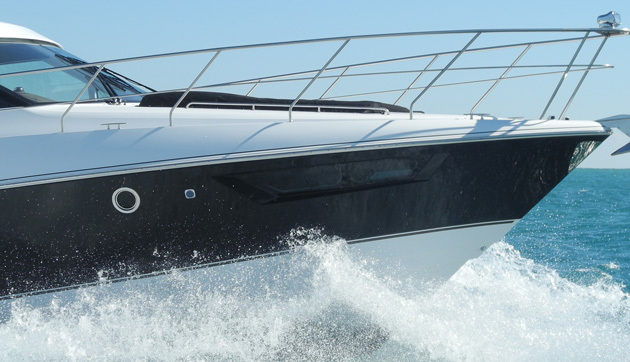 One of the key reasons the used-boat market exists is stainless steel, for without this miracle metal boats would crumble in short order. Here’s a quick rundown on how to care for it. Marine-grade stainless fittings are not the same as chrome-plated fittings, and sometimes different materials are used in the same gear, as seems to be true of this horn. It pays to know the difference in materials in order to care for everything correctly. Because the chlorides in a saltwater environment attack the passive film on stainless steel, it also means you can’t use any cleaning products with chlorides or acids. No bleach or cleansers or liquids with bleach. 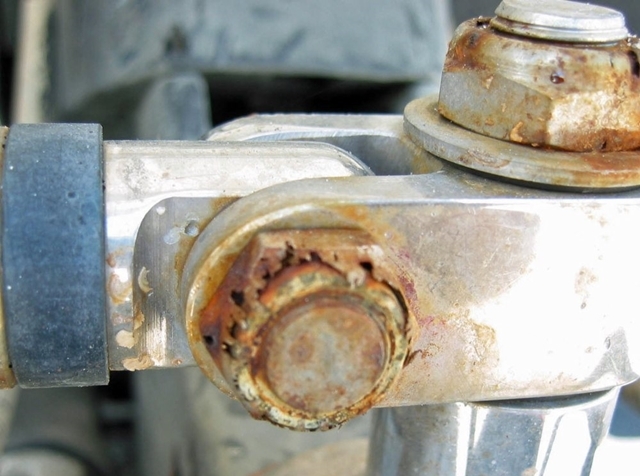 They promote corrosion in stainless, which isn’t rust, but rather a black clouding, or pitting on the surface. The pitting doesn’t affect the mechanical properties of stainless steel, but it is unsightly. Start with a blend of warm water and a mild, chloride-free detergent. Bon Ami is a good choice. Rub with the grain of the metal, rinse it well, and wipe dry. For any stainless steel product, with or without a brushed finish, never use a steel wool to clean or to remove pitting. If you have a stain that won’t come off with warm water and mild detergent, try a mild abrasive household cleaner paste of baking soda and warm water and a mildly abrasive kitchen sponge. If you still have a stain, the Alvarado Manufacturing Company in Chino, Calif., suggests adding vinegar to the mixture to boost its strength, and adding pressure as you rub. If you’re not into home remedies, there are number of products on the market that will do the trick. Naturally, 3M makes one, its spray-on No. 19927 Stainless Steel Cleaner and Polish, which is citrus-scented. 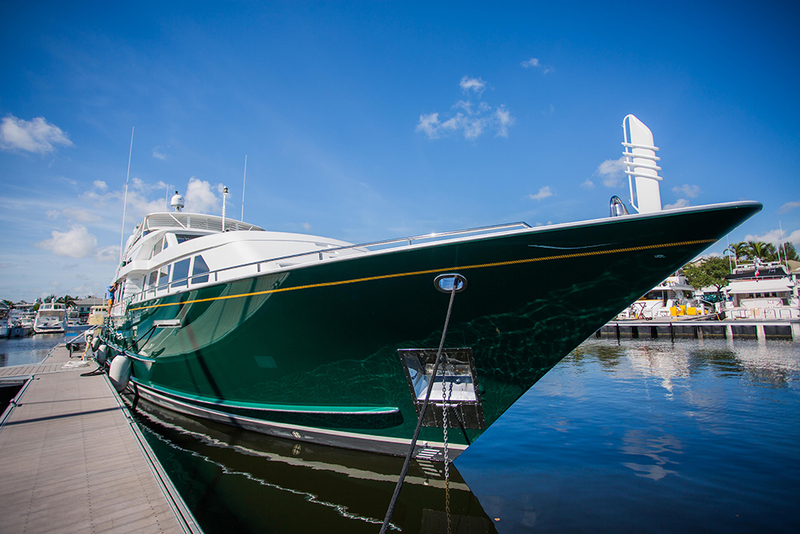 Star Brite, which has a full line of marine chemicals, offers its No. 82708 Chrome and Stainless Polish, which is a paste. 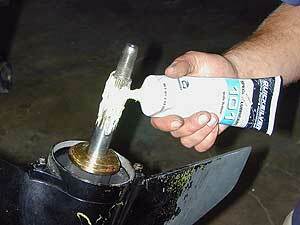 Meguiars also offers a paste metal polish, No. M9314, and an aerosol Metal Guard, No. M9214. Both are suitable for stainless. Sometimes, you’ll find a rust spot with a “halo” around it on your stainless. Most often, this means that a piece of regular steel has become embedded in the surface—which is why you never want to rub stainless with steel wool. The remedy is a solution of 10-percent nitric acid and 2-percent hydrofluoric acid. Don’t have those ingredients in your medicine cabinet? Don’t sweat it. Most welding supply houses sell a “pickling paste,” which has the right mixture to get rid of the rust and halos. Afterward, rinse it with a solution of baking soda and lots of water. Rinsing thoroughly allows the steel to reform the microthin film that protects it from oxidation. A steel that reacts with oxygen to form its own protective barrier. Maybe it is a miracle metal after all. Like penicillin and Teflon, stainless steel was discovered by accident in pursuit something else. In 1913, English metallurgist Harry Brearley was seeking a way to improve the performance of rifle barrels. He found that by adding chromium to low-carbon steel, the alloy became resistant to rust. According to the International Stainless Steel Forum, it is the minimum content of 10.5 percent chromium that makes stainless steel so resilient, where other carbon steels would oxidize and break down. This snap-hook is made of 316-grade stainless steel. The other stampings are AISI, for the American Iron and Steel Institute, and INOX, a synonym for stainless steel, from the French inoxydable, or "inoxide-able." Think back to your first car -- you know, when automobiles came with chromed bumpers. When the bumper inevitably rusted, it was the steel behind the chrome plating that oxidized, flaked, and became porous, not the chrome itself. The difference is that in stainless steel, the chromium is in the metal, not just a plating on top of it. The alloy has evolved since the early 20th century. Some stainless steels now contain percentages of nickel, molybdenum, and titanium. 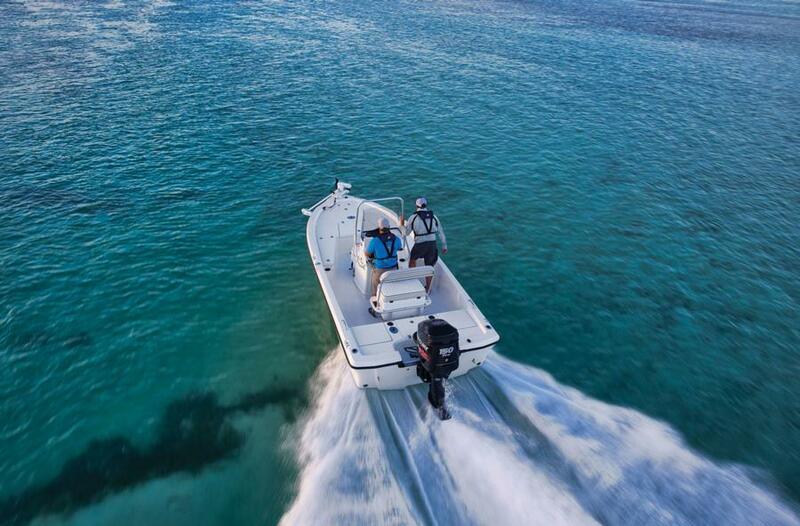 More often than not, the marine industry uses type 316 stainless steel, which contains more nickel and 2 to 3 percent molybdenum, which provides higher levels of protection in high-chloride regions, such as coastal areas. Great, you say, but why doesn’t it rust? According to Dr. Anne Marie Helmenstine, who has taught at the graduate level, done work for the U.S. Department of Energy, and written about scienc, and chemistry for About.com, “The chromium in the steel combines with oxygen in the atmosphere to form a thin, invisible layer of chrome-containing oxide, called the passive film. The sizes of chromium atoms and their oxides are similar, so they pack neatly together on the surface of the metal, forming a stable layer only a few atoms thick. 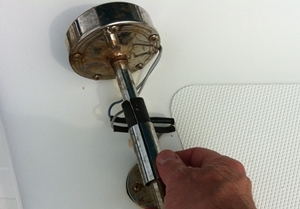 Arm yourself with anti-corrosion maintenance tools at the Boats.com Gear and Parts Store.